Sachin Ramesh Tendulkar wss born 24 April 1973, is a former Indian cricketer widely acknowledged as one of the greatest batsmen of all time. He took up cricket at the age of eleven, made his Test debut against Pakistan at the age of sixteen, and went on to represent Mumbai domestically and India internationally for close to twenty-four years. He is the only player to have scored one hundred international centuries, the first batsman to score a double century in a One Day International, the only player to complete more than 30,000 runs in international cricket. and the 16th player and first Indian to aggregate 50,000 runs or more in all forms of domestic and international recognised cricket. In 2002 just half way through his career, Wisden Cricketers' Almanack ranked him the second greatest Test batsman of all time, behind Don Bradman, and the second greatest ODI batsman of all time, behind Viv Richards. Later in his career, Tendulkar was a part of the Indian team that won the 2011 World Cup, his first win in six World Cup appearances for India. He had previously been named "Player of the Tournament" at the 2003 edition of the tournament, held in South Africa. In 2013, he was the only Indian cricketer included in an all-time Test World XI named to mark the 150th anniversary of Wisden Cricketers' Almanack. 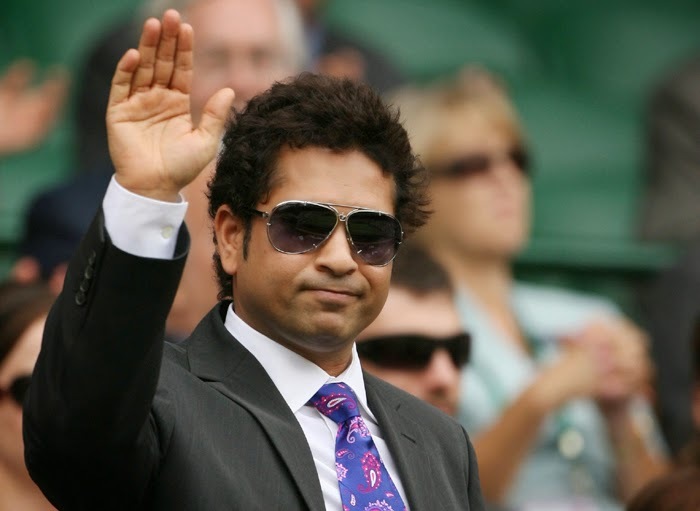 Tendulkar received the Arjuna Award in 1994 for his outstanding sporting achievement, the Rajiv Gandhi Khel Ratna award in 1997, India's highest sporting honour, and the Padma Shri and Padma Vibhushan awards in 1999 and 2008, respectively, India's fourth and second highest civilian awards. After a few hours of his final match on 16 November 2013, the Prime Minister's Office announced the decision to award him the Bharat Ratna, India's highest civilian award. He is the youngest recipient to date and the first ever sportsperson to receive the award.